According to Kimberly-Clark, the makers of Charmin toilet paper, the average household goes through about 240 rolls of toilet paper a year. Now, that’s a lot of garbage. 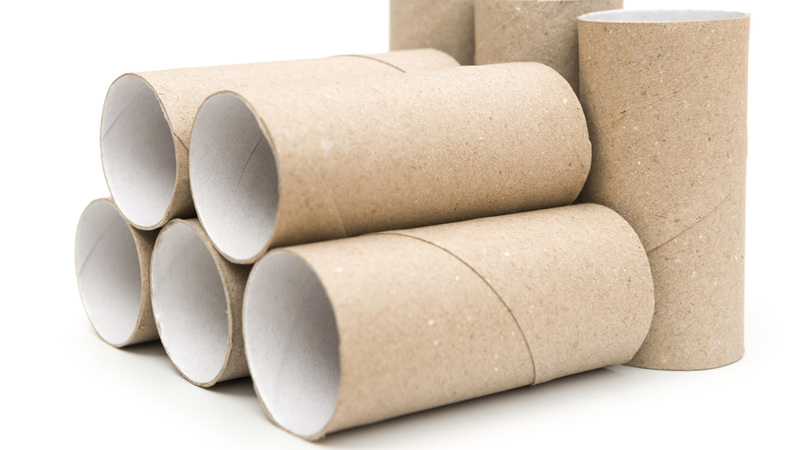 In fact, paper waste makes up the majority of our household waste, according to the EPA, and toilet paper and paper towel rolls are a big part of that. With Earth Day only a couple of weeks away, how can we fix all that waste production? Intricate wall decor, perfect for framing a collage or gallery wall. Paint your creation to get a faux metal filigree look that will definitely fool your friends and family. If you’re going to organize those supplies, they may as well look glamorous. 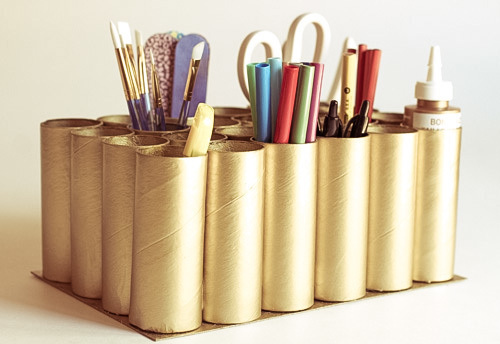 Turn extra tubes into glimmering craft caddies, perfect for keeping pens and pencils handy, while adding some elegant upcycled decor. You’ve never seen a more unique way to display your photographs! 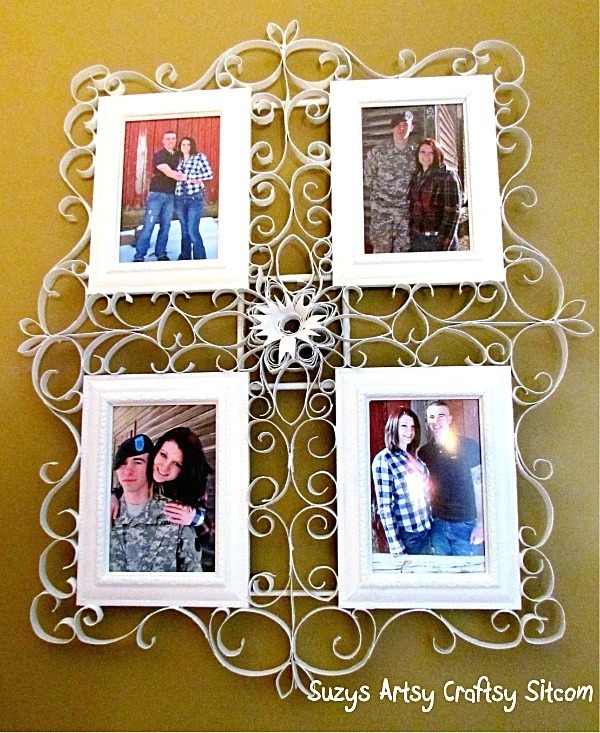 Turn a family picture into an eye-catching accent with a custom frame made from empty toilet paper rolls. Not only is this DIY display fast and free, its vertical base adds dimension and depth to your pictures. Getting ready for a formal dinner or event? 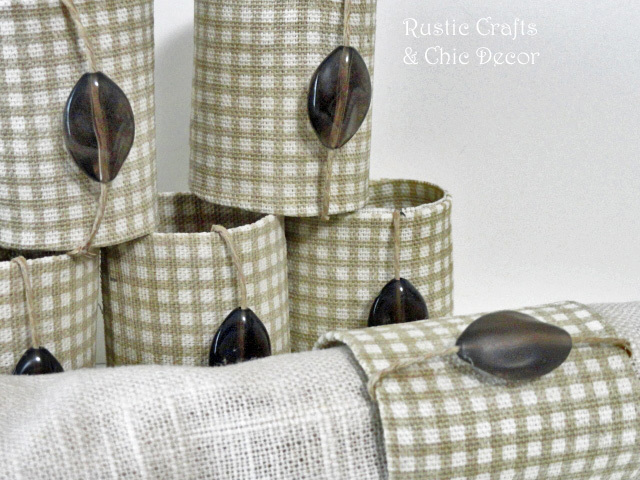 Cut up some leftover paper towel tubes to make perfectly sized napkin rings, which you can then decorate to match your party’s theme. A little burlap and a colorful bead are the perfect embellishments for these easy crowd pleasers. Instead of a clunky set of speakers, try this makeshift energy-efficient alternative that doesn’t need any batteries or plugs. Simply decorate your roll with paint, contact paper or whatever style you like best, add push pins to give it some stability and cut a slot for your phone to fit snugly in. Turn a couple of canvases, some fallen sticks and a few cut TP tubes into classy wall decor. Use paint to color to your TP “leaves” and add a little seasonal charm. You can use this trick to cover any open wall you’ve got by adding more canvases and branches. 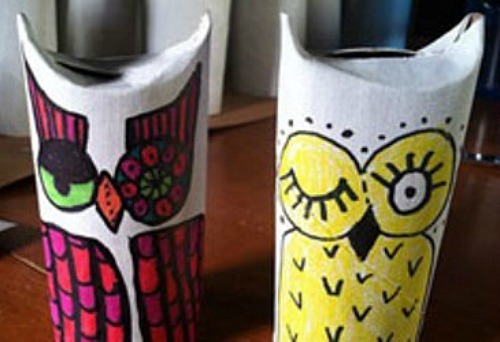 By simply pinching the corners and adding some sweet owly faces, you can turn your paper waste into upcycled owl ornaments and accents. These bright little guys are perfect for propping up in bookshelves, turning into colorful mobiles or even creating a spring-themed tablescape. 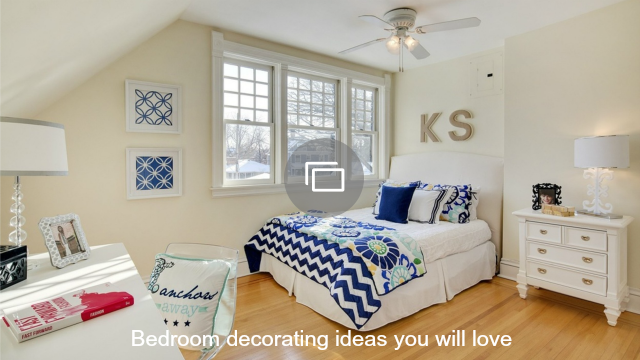 For more upcycling ideas to get Earth Day-ready, check out our upcycling and repurposing page on Hometalk!